Belton is in north Leicestershire, 6 miles west of Loughborough. There were 8 Protestant nonconformists noted in 1676, two of whom were women, and also 9 Catholics, including 8 women. There were 205 Anglican communicants. 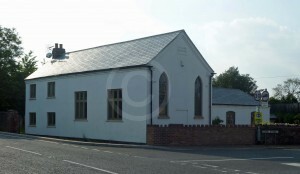 The chapel was built in 1813, and had 60 members in 1829. On 30 March 1851 there was just a single service, in the afternoon, attended by 70 people, while 36 were at the Sunday School attached to this church. This chapel, which no longer exists, was built in 1821 and had 100 free and 57 other sittings. There were 50 Wesleyan Methodists in Belton in 1829. On census Sunday in 1851, there were 36 at the afternoon service and 92 present in the evening.